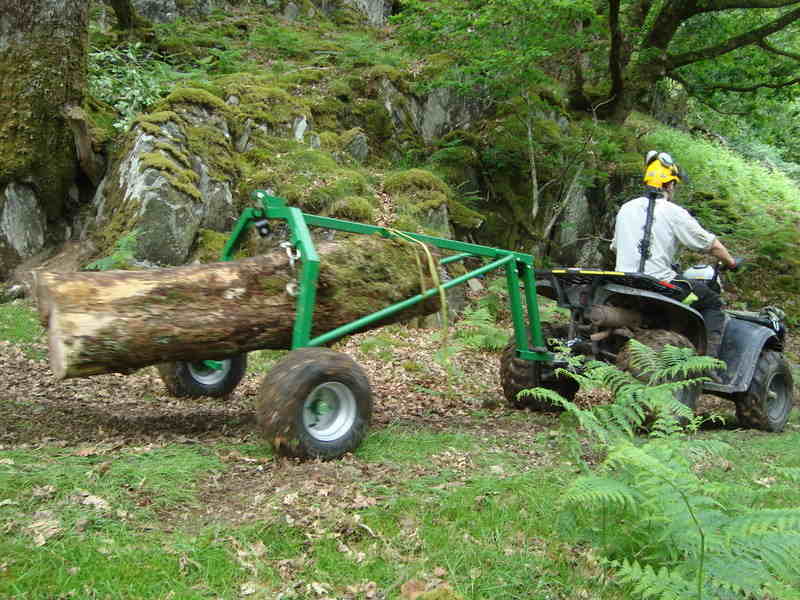 We were asked to clear several windblown Oak trees from a remote site and if possible extract the timber for firewood. Stabilising the root plate with a tirfor manual winch the trees were severed and made safe to start sectioning up. 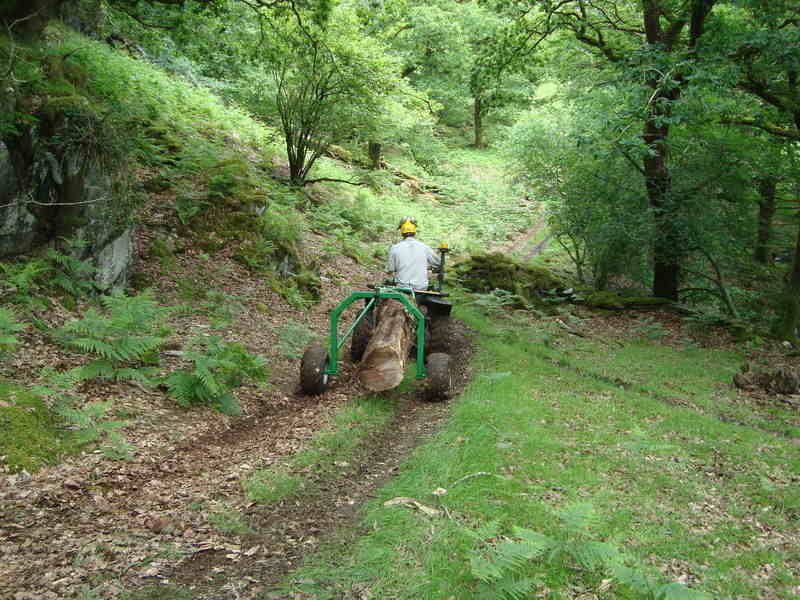 Timber was cut to 6/8ft lengths and using our logging Arc supplied by TCF engineering at Corwen and Polaris 4 x 4 Quad the wood was extracted to a pile where the client could access it.